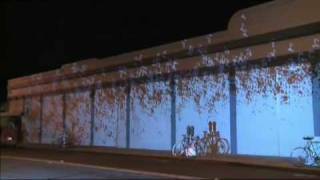 MakeTV profiles Minneapolis Art on Wheels, a vehicle for activating public spaces with large-scale projections of sound and video. MAW develops software, hardware and methodologies for participatory urban projection, and helps artists and community organizations utilize these instruments to creatively claim and transform public spaces. MAW disseminates these instruments and works with artists interested in technology to promote mobile public projection.